Founded in 1999, Incredible Events is the company Central Oregon turns to for distinctive events. The team specializes in providing a wide range of event management services for weddings, holiday parties, fundraisers, festivals, tradeshows, and more. Incredible Events rents all the equipment you need to make your event a success; from tables and tents to seating and stages, even specialty items like novelty signage, free-standing bars, and exterior lighting. Their crew will deliver everything you need to your event site, set it up, and take it down, and their high standards mean you can focus on enjoying your event, not on the safety, performance, or appearance of the rental equipment. 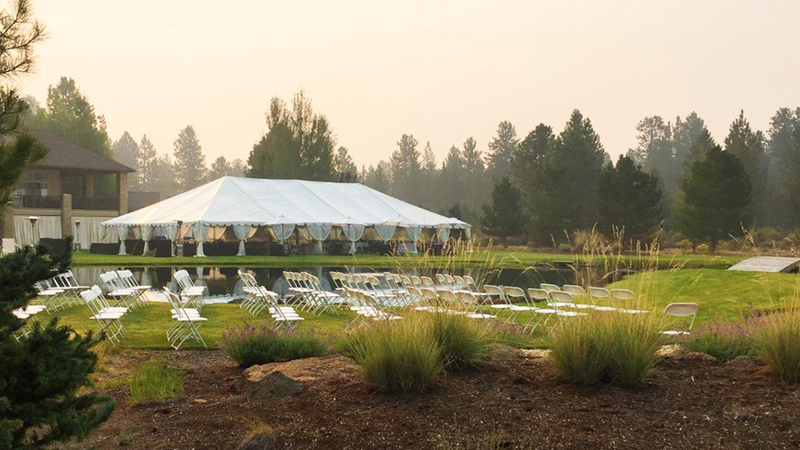 Incredible Events also maintain working relationships with Central Oregon’s best planners, caterers, florists, and DJ’s, as well as other event professionals, and will coordinate with them on your behalf to ensure a seamless experience from start to finish. The Incredible Events showroom on High Desert Lane in Bend displays tablescapes, party decorations, vignettes, and photo galleries of past events, making it a great place to launch ideas for your event.